# From the vantage point of knowledge we, HH, UPND and other experts, have for a long time rendered free advice that multiple and excessive taxes injure both our people and the economy alike but this greedy and corrupt PF leadership is not listening. # It is now abundantly clear for all to see that the PF regime’s poisonous New Year gift of a HEAVY TAX BURDEN is destroying jobs and businesses in our already distressed country. For a long time now, this is what some of us knew would happen sooner or later. It is called ‘vision or ichimonwa’ which PF lacks in a large measure. (ii) non refund of the US$400 million the PF regime owes to FQM. We should all remember that many other businesses (incuding local ones) are owed money directly or indirectly under this VAT refund mess. (iv) PF’s high electricity costs. # These and many other job losses, business (local or foreign small, medium and large) operational reductions and closures which are causing untold misery to our people should squarely be blamed on the PF regime’s lack of vision, incompetence and greed which is fueling corruption to levels never seen before in our country. (ii) lower both the cost of living and doing business by reducing, the cost of fuel, reducing the cost of electricity, among other cost reduction measures. (iii) economic expansion and development leading to more jobs, business consolidation and growth (in number and scale, local and others). This will also lead to improved public revenue generation ability which will improve our capacity to provide social support to the youth, the sick, the old, orphaned children and those with disabilities and from poor/ disadvantaged families. # In the UPND, we believe that it is not possible to achieve any meaningful and sustainable job creation, business growth and economic development when a government (like the PF one has done) takes money/resources (through over taxation and corruption) away from the efficient hands of individual citizens and businesses and places it into the hands of a few (greedy and corrupt ) PF officials and politicians who are inherently incapable of exercising any kind of honest and prudence in resource utilisation or management. 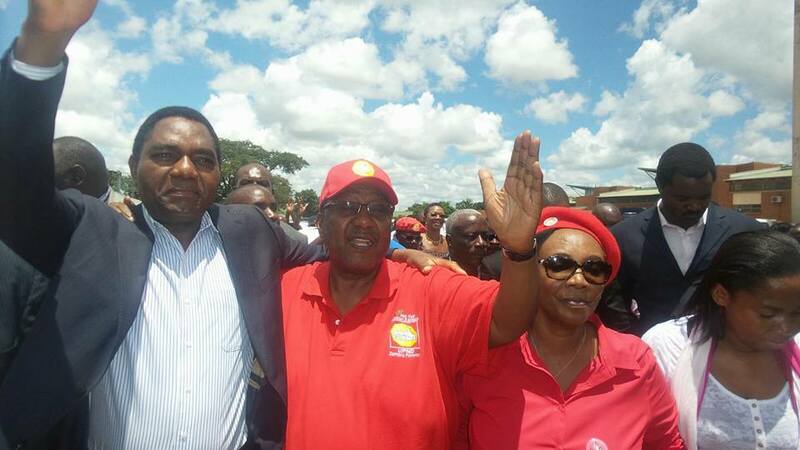 # We therefore urge Zambians across our country to unite in supporting the UPND team and other citizens of goodwill for us to take our motherland out of the PF inflicted damage and pain. Unity of purpose, good/visionary leadership and courage without any grain of fear will help us out of this mess.